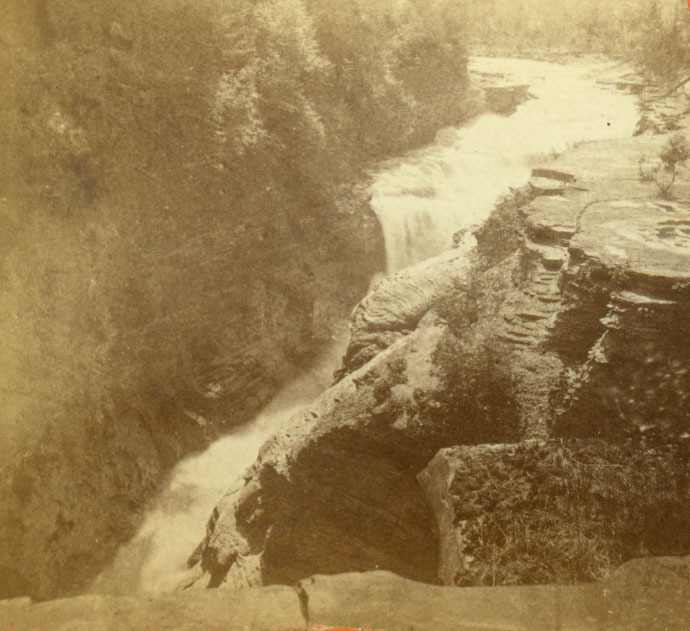 It wasn't easy, but the photographer has hauled his stereo camera up the Sugar Loaf to capture this view of the Lower Falls area. 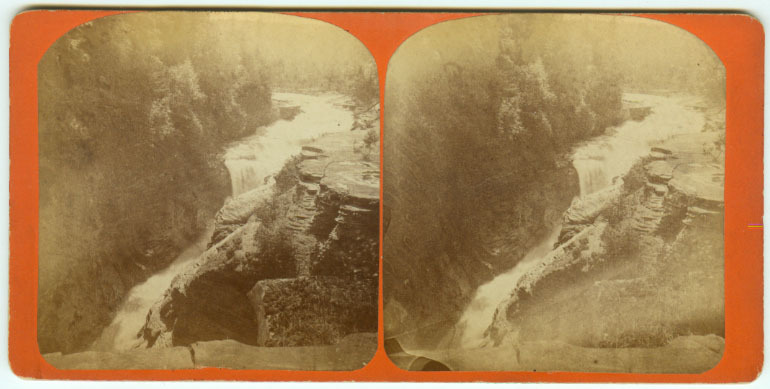 The narrow Flume is seen and to the right is the flat ledge known as Table Rock. This area was the least developed area of Mr. Letchworth's Estate and remains a popular spot today. For an 1851 discussion of the Lower Falls letter, see the Edward Hunt letter.